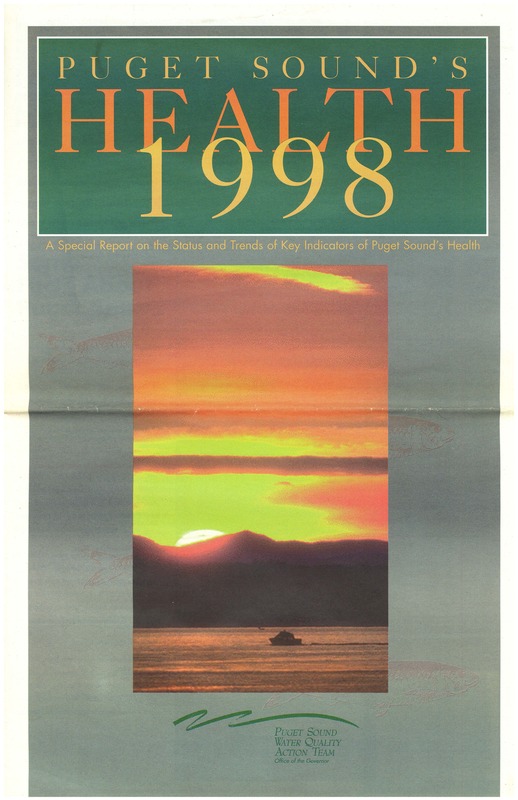 The Action Team has done this by answering the following questions about key indicators of Puget Sound's health, which are described in the following pages. Are fish and wildlife populations increasing or decreasing? Are areas where shellfish can be safely harvested increasing or decreasing? Is the quality of water for recreation improving or declining? Is the area of contaminated sediments increasing or decreasing? Are toxins in the marine environment increasing or decreasing? Are the size and frequency of oil spills increasing or decreasing? Are functional wetlands increasing or decreasing? Is fish and wildlife habitat increasing or decreasing? The answers to these questions will help us make better decisions by focusing attention on areas of concern and identifying problems before it's too late to reverse their effects. An advisory group of federal, state, tribal and local governments and businesses helped the Action Team develop this report. The environmental indicators draw on information that is available from different sources, including the Puget Sound Ambient Monitoring Program.